The Transactions tab will show you which charges are attached to this statement. You will also have the same options on this tab as you did on the corresponding tab within Claim Management. Add: Clicking the Add button will allow you to add eligible transactions to this statement. In order for a transaction to be eligible for addition, it must meet the criteria required for the type of statement you are editing. This means that all conditions discussed during the Troubleshooting Creating Statements must be met. Split: If you click the Split button, you will be able to split transactions off of the existing statement and onto a new statement. Remove: Clicking the Remove button will take the highlighted transaction off the statement. That transaction will then be subject to addition to another statement if it remains eligible. The comment tab will allow you to enter various comments regarding this statement. These comments will not be included on any printed or sent statements. They are for internal use only. The Show Unpaid Only field does not have any effect on patient payments. The Payment Procedure Code fields will automatically populate with the codes that were entered during the creation of the deposit. These are the codes that will be listed on the line item entries within the patient ledger after the applicable charges and adjustments are applied. You do not need to change these fields. At the top of the screen you will see a field labeled For. This field is used to designate the patient for whom the payment(s) and adjustment(s) are being entered. This field will default to the same chart number that was entered when creating the deposit. You do have the ability to change the chart number. If you select a patient that does not have the person making the payment listed as the guarantor, you will see the following message. Clicking Yes will allow you to apply the payment anyways. Clicking No will force you to select a different patient before proceeding. Once you have selected the chart number of the patient to whom the payment will be applied, you are ready to actually apply the payment. The first step in applying the payments (and adjustments) is to identify which charges are being paid or adjusted. You can identify the specific charges by using the Date, Procedure, Charge, and Remainder fields. The remainder field tells you the balance on each charge. Once you have identified the charges you wish to pay or adjust, enter the amount of the payment that will be applied to each charge in the column labeled Payment, and the amount (if any) that you wish to adjust off each charge in the Adjustment column. If you apply a payment amount greater than the remainder amount, you are indicating that an overpayment was made on that charge. The patient is usually due a refund in this instance. The refund should be entered as a positive adjustment. After entering your payment and adjustment amounts, click Save Transactions. At this point, we are making line item entries into both the mwtrn.adt and the mwpax.adt tables. If the payment was made for multiple patient accounts, you can now change the chart number in the For field to the next patient to whom you wish to apply the payment. Normally you would want to apply the entire payment before leaving the payment application screen. If you do this, the unapplied amount field will show 0.00. If you do not apply a payment completely, the balance and AR totals will only be affected by the amount you apply. After applying and saving the payments and adjustments, click Close. Following this process will allow you to enter and apply patient payments from the deposit list. It is important to note that copays entered through Office Hours into the deposit list will be listed as unapplied payments until you go through and manually apply them to the charges. To enter an insurance payment from an EOB, take the following steps from within the Deposit List. The Deposit Date field specifies the date of payment and adjustment that will be listed in the patient ledgers. This date will default to the computer’s system date. You can manually change this date in order to enter payments that were received on previous dates. The Payor Type field will default to Insurance. This is the value you want here for a non-capitation insurance payment. Enter the entire amount listed on the check in the field labeled Payment Amount. In the field labeled Insurance, enter the insurance code for the carrier making the payment. ERA (Electronic Remittance Advice) Adjustment Posting is an option that works in conjunction with Revenue Management. Revenue Management automatically reads the electronic EOB format returned by the insurance carrier, and applies the payments to the appropriate charges. This is the most efficient way to post payments. The process for posting an electronic EOB will be discussed in the blog posts covering EDI. Transaction Entry has various buttons at the bottom of the screen. Update All: The Update All button is used to update the displayed transactions to include changes made to either the Case setup or the Procedure Code setup. These changes would affect which payors are responsible for the particular charges, or the type of transaction. 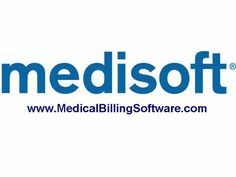 Quick Receipt: If you click the Quick Receipt button, Medisoft will print out the walkout receipt format that is selected on the Billing tab of the Program Options screen under the Receipt field. This receipt is usually given to the patient on their way out of the office. The receipt details what procedures and payments were entered during that visit. Print Receipt: Clicking the Print Receipt button will allow you to select a walkout receipt format for printing. These receipts will have the same properties as the receipt printed under the Quick Receipt button. Walkout receipts will never contain insurance payments. These receipts are only designed to show which transactions were entered on the day of the visit. Insurance payments are not received in advance. Print Claim: The Print Claim button will look at the transactions listed on the screen, and print claims for the transactions that have insurance carriers listed as eligible, responsible payors, AND have not previously been placed on a claim. This process will create a claim or claims in claim management for these transactions. View eStatements: Select this button to open the BillFlash eView page for the guarantor associated with the case. See the BillFlash section of the eStatements chapter of the EDI documentation for more details. Close: Clicking Close will close the Transaction Entry screen. You will need to apply any payments before clicking this button. If you have not saved your transactions before clicking this button, you will be prompted to do so. Save Transactions: This button is used to save any new or edited transactions.